It’s seems harsh to assess Mercedes as having an under-par season when they’re 39 points clear at the top of the constructors’ championship – but that’s the problem when you’ve established a hegemonic dynasty: the only way is down. They’ve won six races, taken eight poles and been on the podium at ten of the 11 races – but that still represents a slide from previous campaigns. They’re still winning the battle on the high-speed and power circuits – but they’ve looked second-best to Ferrari on tighter courses. Lewis Hamilton is still the star but Valtteri Bottas holds the focus of attention with a new team, a new team-mate who hasn’t always played nicely with others, and a first chance to race in a genuinely competitive car. Add in the one-year deal and the implications attached to that and all eyes were on the Finn in 2017. He’s stepped up admirably: two wins, two pole positions, and a solid third place in the championship. Also valuable is the seemingly happy relationship with Hamilton. 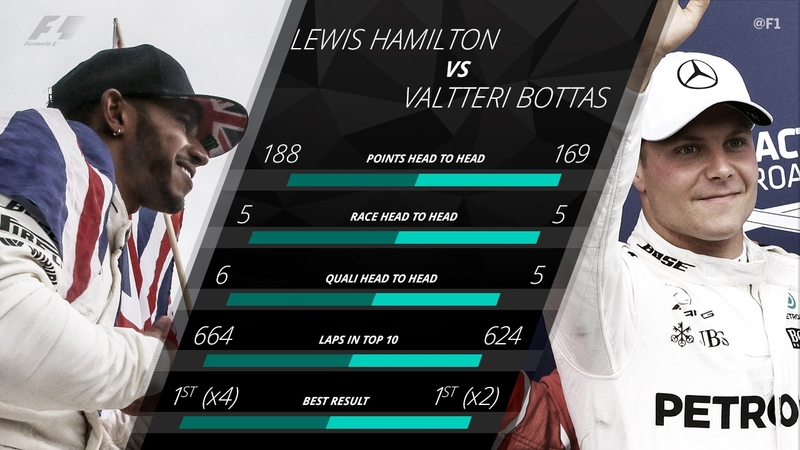 How long that continues may depend on what happens over the next few races: Bottas is on a roll, with five podiums in a row bringing him to within 19 points of his team mate and a proper tilt at the championship. 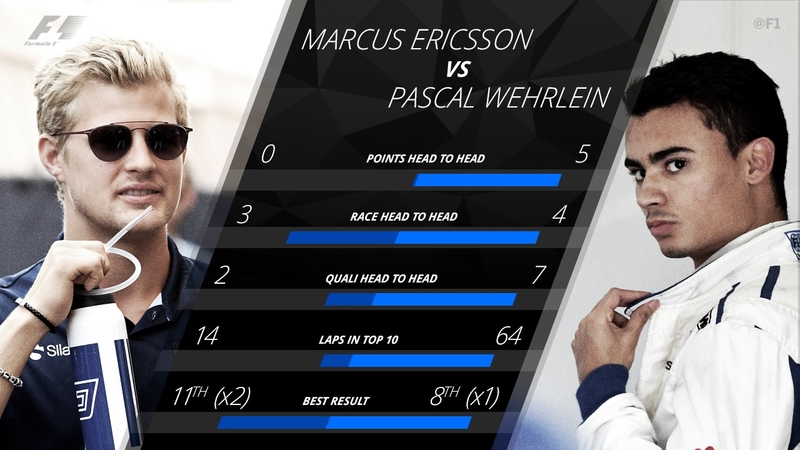 Will relationships at Mercedes stay friendly if there’s a title to fight for and they're both left to contest it? However you look at it, it's been good work from Ferrari to drag themselves up from third-placed also-ran to genuine title contender. Four wins so far this year is a lot better than the zero wins the Scuderia managed in 2016 – but F1 in 2017 is rather more polarised, with certain types of track clearly favouring Mercedes and others clearly favouring Ferrari. The worry in Maranello will be that, in the second half of the season, there are rather more of the former and less of the latter. Sebastian Vettel has taken Kimi Raikkonen to school somewhat this season. The German has an 8-3 qualifying advantage and leads the drivers’ championship while Kimi languishes down in fifth. 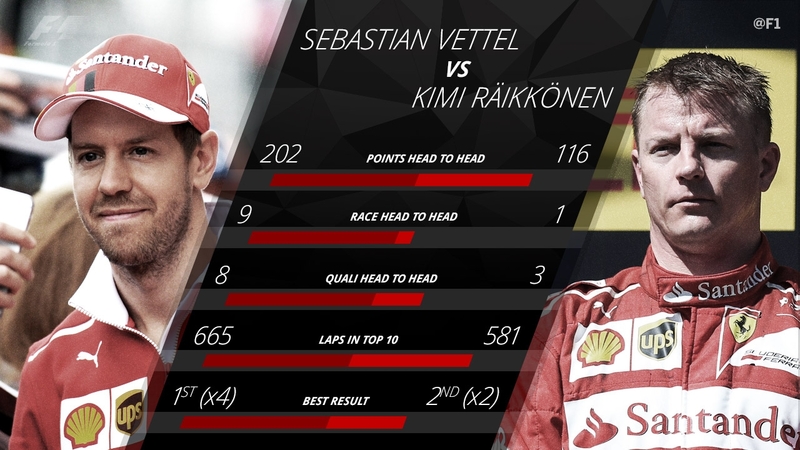 That particular statistic explains why Ferrari are 39 points behind their rivals in the constructors’ championship battle, and why there has been some disquiet in Maranello about continuing the Vettel-Raikkonen partnership into a fourth year. On the other hand, the 2007 world champion has had some pretty bad luck; usually produces his best work in the second half of the season; isn’t going to buckle under the pressure; and knows how to support a team mate if required. Do Mention: First Monaco victory in 16 years! Many predicted Red Bull to be firmly in the championship mix in pre-season, but they've been off their game thus far. The result? Slipping behind Ferrari in the pecking order, and admitting what they saw on track was slightly at variance with the numbers being produced in the wind tunnel. They’ve sorted that problem and will cautiously suggest they’re winning the chassis war. It’s made little difference to their results. They’re waiting for more from their engine partner and still believe there’s a big finish to come in 2017. According to the table, this one isn’t close – but the table lies. 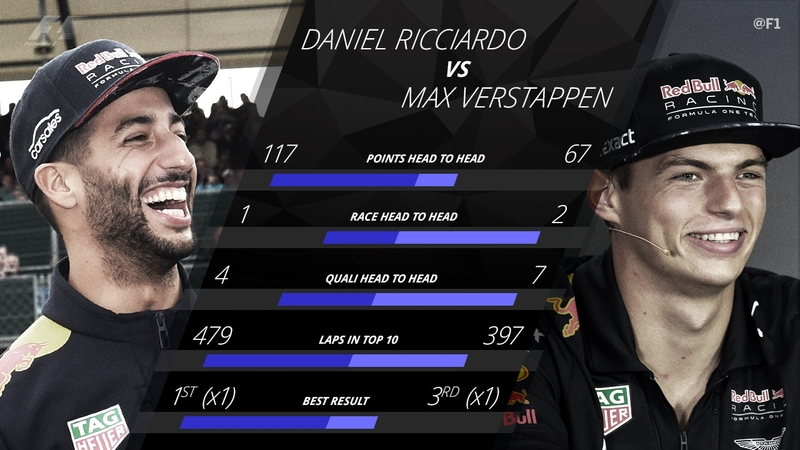 Daniel Ricciardo is fourth in the drivers’ championship, 50 points clear of Max Verstappen – despite a DNF in Hungary last time out having been punted off by his impetuous team mate. Ricciardo has been a model of consistency, sweeping up whatever points are on offer with the minimum of fuss. On the other hand, if Verstappen didn’t have bad luck, he wouldn’t have any luck at all. Twice bundled off as collateral in somebody else’s accident and thrice hit by mechanical DNFs, his hopes have often been sunk - but he's equally regularly had the upper hand over Ricciardo before disaster strikes. It’s all pretty good natured at the moment – but one suspects that, should Red Bull deliver a race winning car, these two won’t be taking any prisoners. If fourth-place is realistically as high as you can go, nailing it down by the mid-season interval is mission accomplished. Force India have consolidated well in 2017: rather than fighting tooth and claw for the spot they’re a comfortable 60 points clear of Williams. They haven’t notched up a podium yet but - Baku was the big opportunity - but if anything the lack of a big score emphasises their consistency: they’re qualifying at the back end of the top ten and bringing home solid points at the top of the midfield. 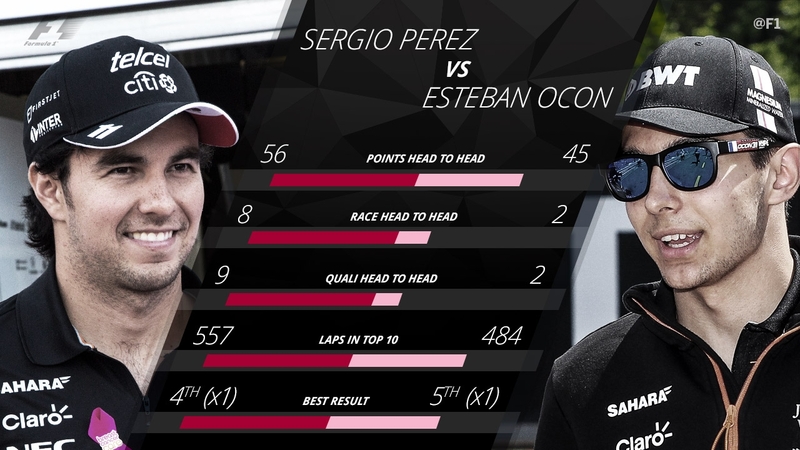 The battle between Sergio Perez and Esteban Ocon is compelling. Perez is winning the qualifying battle 9-2 and has an 8-2 advantage at the flag – but it’s close. Eight times they’ve finished line-astern and Checo is only 11 points ahead. Worryingly for the Mexican, many of the circuits were new to Ocon in the first half of the year – whereas now we’re going to tracks he raced last season. Do Mention: Double-points finishes in nine of 11 races! Williams were fifth last year and they’re still fifth now – the big difference is that last year they were fighting to be fourth, and this year they’re fighting to not be sixth. At the start of the hybrid era they were clearly the second Mercedes team but they’ve been roundly eclipsed by Force India since then. It is, however, a period of transition at Grove with new technical leadership under Paddy Lowe still getting comfortable. They have had a podium in 2017, thanks to Lance Stroll’s efforts in Azerbaijan – but skulking around the lower reaches of the top ten is more their pace at the moment. They also appear to have the least predictable car of 2017, meaning a Williams can qualify anywhere. For a man who retired at the end of 2016, Felipe Massa is scoring quite heavily in 2017. The Brazilian has beaten rookie Lance Stroll 8-2 in qualifying and has scored 23 of Williams’ 41 points. Stroll struggled at the start of the year and didn’t get much sympathy from the media, but a run of three points finishes in a row, including a podium in Baku, have bought him some much-needed breathing space – but it is only breathing space. If he wants to be taken seriously in his first campaign, he has to be giving the experienced Massa a better challenge before the end of the year. Don’t say: Wouldn’t he have started the season better after a year in Formula Two? Things are looking pretty good at Toro Rosso this season. James Key has produced another tidy chassis which has a reasonable chance of taking fifth and Toro Rosso’s best-ever finish. They’re currently two points behind Williams in that particular battle and, arguably, an improvement in competitiveness from Renault’s power unit would mean more to them than it would to Red Bull or the works team. The big talking point over the summer break is whether or not Toro will make the leap of faith to Honda for 2018. While a fourth change of engine supplier in five years isn’t ideal, future drivers aren’t the only thing Red Bull stockpiles at Toro Rosso. Carlos Sainz has finished in the points every time he’s finished in 2017 which, for a team that isn’t really top ten material, is quite remarkable. The Spaniard is smart, quick and is reported to give excellent feedback – which is why he’s linked with every vacant seat going and also why Red Bull aren’t particularly eager to let him go. He is, however, only beating Dany Kvyat 6-5 in qualifying, as the mercurial Kvyat continues to show frustrating flashes of great potential. It is, however, the mistakes that are defining the Russian’s season. ‘The Torpedo’ (he won’t be thanking Daniel Ricciardo for bringing that nickname to public attention) needs a calmer second half of the year. Haas haven’t so much moved up the order as they have inherited a position thanks to McLaren’s implosion. Given the technical support and powertrain Haas take from Ferrari, it might have been expected that Haas would have moved up more this year on the coat-tails of the Scuderia’s resurgence – but F1’s newest team are finding things tough. Which is how it should be. 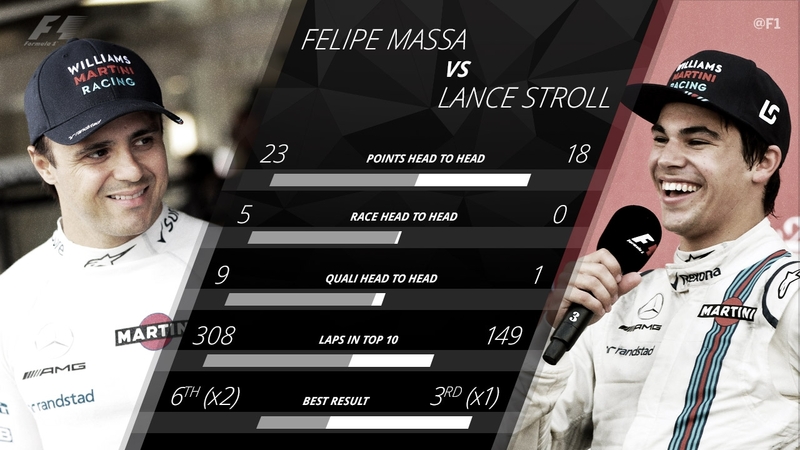 The battle between the Haas drivers doesn’t receive a lot of airtime because, unlike other rivalries, they’re not usually knocking chunks out of each other. As might be expected Grosjean, the senior driver, has the lion share of the points – 18 to 11 – and leads Kevin Magnussen 7-4 in qualifying. The Dane, however, hasn’t looked out-classed. 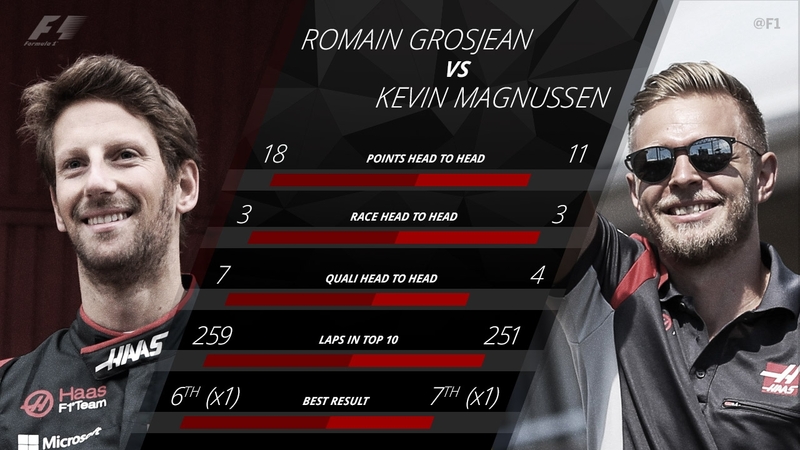 The more comfortable he gets in his new team, the greater the challenge Grosjean will face. Renault went travelling for a couple of years and came back to find their tenants had left a hell of a mess to clean up. Saddled with a reduced technical department, a performance deficit and an uncompetitive engine, it’s going to be a long road back for Renault. Chief Technical Officer Bob Bell – not one for wild prognostication – says five years. Renault have deep pockets and good facilities, so it might be a little quicker, but for the moment they’re around the back of the midfield. They’re hoping the second half of the year will see a surge forward – but are realistic enough to accept they might be fending off McLaren to hold onto eighth. One strong glimmer of hope is that the updates introduced just before the break in Hungary looked positive. 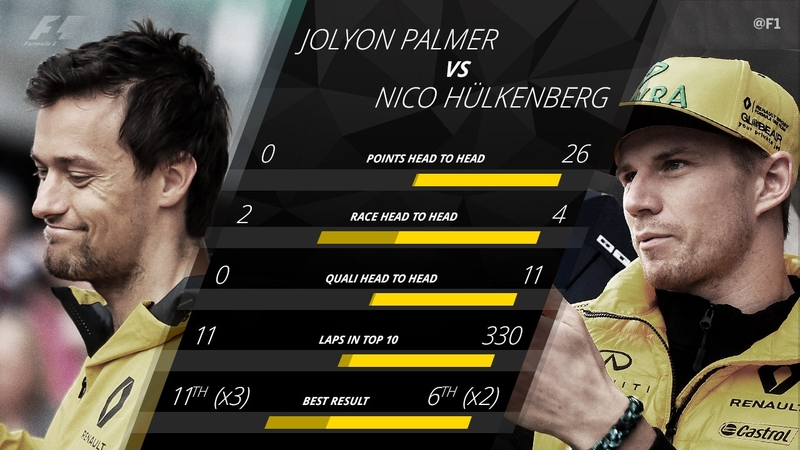 The first half of 2017 has been pretty grim for Jolyon Palmer. The experienced hand at Renault has seen new boy Nico Hulkenberg hammer him 11-0 in qualifying, and score all 26 of Renault’s points. If that wasn't bad enough, he also has to contend with the phoenix-like Robert Kubica looking very sharp for a man who hasn’t driven an F1 car in six years. Renault say Kubica isn’t going to race this year, which isn’t quite the same thing as saying Palmer’s seat is safe. Stoffel Vandoorne faces the difficult proposition of a tough car and a tougher team mate. 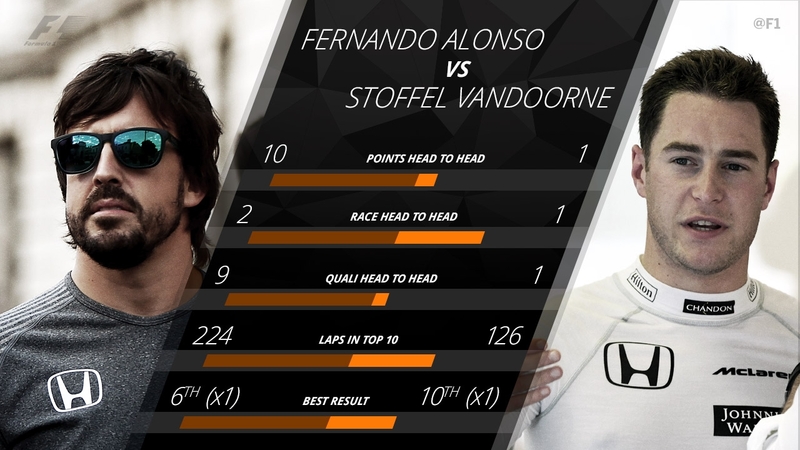 However disenchanted Fernando Alonso may be with the uncompetitive McLaren, the Spaniard still brings his A game. He’s out-qualified his rookie team-mate 9-1 and has 10 of McLaren’s 11 points. In fact, he’s scored in two of the three races he’s finished. The pressure isn’t particularly on Vandoorne, however. He’s not making mistakes, he’s keeping his illustrious team mate honest and the team rate him highly. 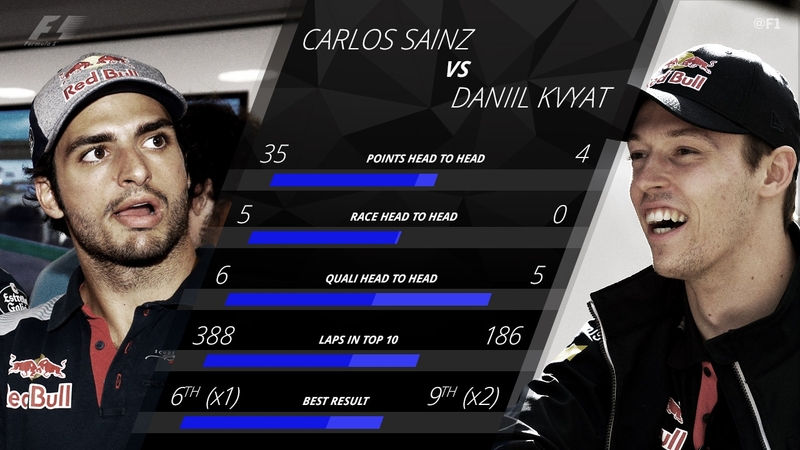 At Silverstone he was clearly the quicker of the two all through qualifying and that bodes well for the future.